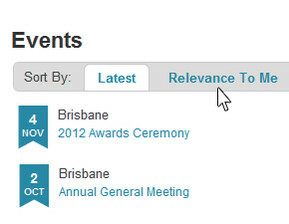 Now you can control the content that goes on your association membership website! Member Evolution's association management solution integrates award winning Drupal CMS which provides a modular and scalable platform, an industry leading feature capability and cost of ownership. 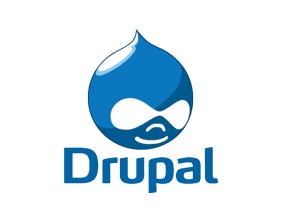 Learn more on how using Drupal software benefits the association industry. Provide optimal viewing of your association member management website for members, sponsors and board members on all devices at all times. Our in house developers and designers have crafted together graphical and vibrant designs in a responsive framework. 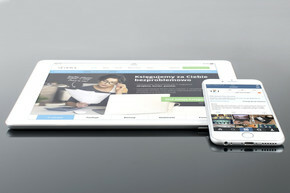 Boost your website's accessibility and user experience with a responsive website. Members set their preferences and are delivered personalised content based on their groups, user settings, historic usage and highlighted needs. Delivering personalised content increases your value proposition and enhances user engagement and ROI for members. As a result you build a membership base of loyal followers willing to contribute their efforts for the overall success of the community. Easily modify content through an online administration panel referred to as 'What You See Is What You Get' (WYSIWYG) editor. This enables admin to effortlessly add/edit/copy and remove content as required. 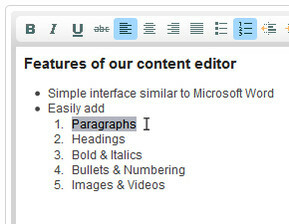 The built-in content editor allows optimal flexibility so you can easily modify content with minimal training. New features have recently been added allowing you to increase the attractiveness and layout of content pages across your association membership website. Internal linking of pages has never been easier along with quoting, uploading images, QR code picture generators, custom fronts, maps and much more. 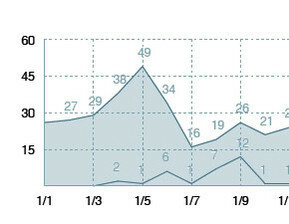 For more information please visit our latest WYSIWYG Feature Release Update. To help promote your services to the major search engines we also provide a detailed keyword report which outlines the best keywords for your business segment. This keyword research and selection is one of the most integral parts of achieving great SEO results. Our SEO marketing experts then carry out a comprehensive initial SEO setup on your new site to give your SEO a kick start. For more information on how to optimise your associations website with long lasting SEO view our Free eBook.